Just a quick post to wish everyone a very merry Christmas! 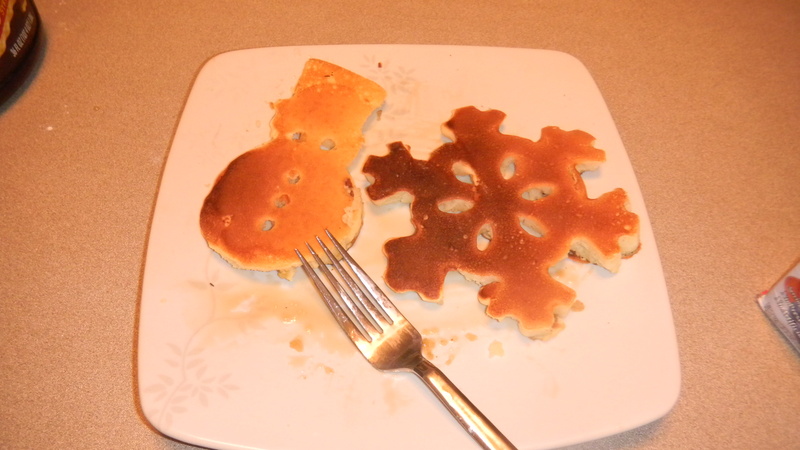 I thought I’d share our Christmas breakfast tradition in our house – snowman and snowflake pancakes. 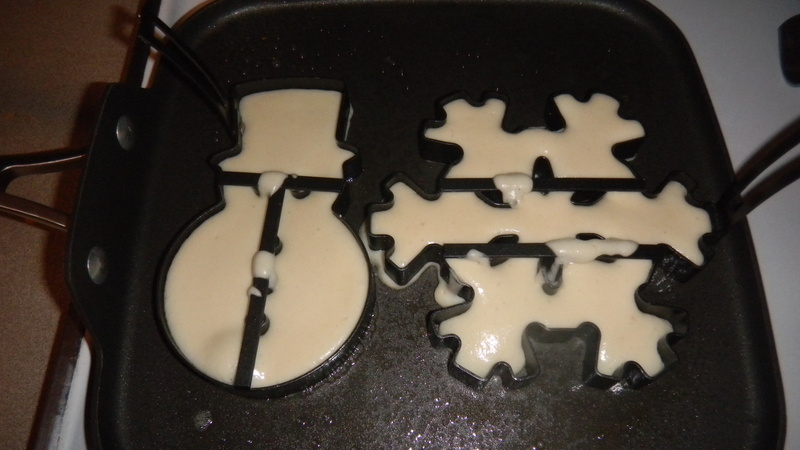 Pretty easy to make using a pancake stencil, though you can probably just use a cookie cutter. Just make your batter as usual and pour into the mold. It should be firmed up by the time you flip it. Oh, big tip – spray the molds with non-stick cooking spray first. Otherwise, your pancakes won’t come out with a shape – they’ll just be a big pile of broken pancakes. Have a wonderful day. And to all, a good night.